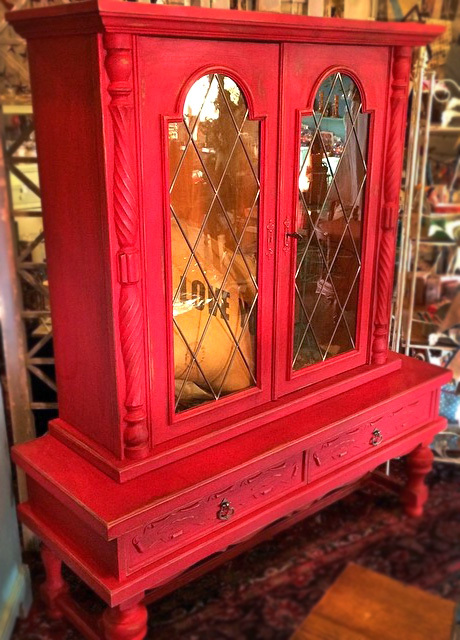 Giddy Upcycle restyled this enticing English curio in Holiday Red Milk Paint. So bright! You can find General Finishes products at Woodcraft, on Amazon, or use your zip code to find a retailer near you at http://generalfinishes.com/where-buy#.UvASj1M3mIY. Limited selections also available at Rockler Woodworking stores in the US and www.leevalley.com in Canada.